North Korea’s accelerated nuclear weapons development and threats to test inter-continental ballistic missiles to target American cities have prompted calls to the Trump administration to initiate negotiations on denuclearization., But denuclearization talks alone will not be sufficient. The threat to the United States emanates not only from North Korea’s weapons of mass destruction but also from the nature of the regime. A nuclear empowered country with North Korea’s unparalleled human rights record is a danger to the rest of the world. If a denuclearization agreement is to inspire confidence and trust, it would have to be matched by efforts to mitigate serious human rights abuses at the foundation of the regime. During the Cold War, the United States did not limit its discussions with the USSR to one subject—arms reduction. Instead, it insisted upon an expanded information flow between the communist bloc and the West and a more open society; and advocated for core human rights concerns—Soviet Jewish emigration, the protection of Pentecostals and other Christians, the release of political dissidents, the unification of families and the formation of human rights organizations to monitor the Helsinki Final Act. It raised these concerns in bilateral discussions and in the multilateral Helsinki process. Non-interference in the internal affairs of other countries, a doctrine espoused by the Soviet Union to shield itself from criticism was not accepted by the US in its negotiations with Moscow. Neither should it be in the case of North Korea, as increasing numbers of policy experts now point out. A recent Council on Foreign Relations (CFR) Task Force report suggests that nuclear negotiations could expand into broader talks and that a peace agreement and normalization of relations will have to depend on both “nuclear disarmament” and “progress on human rights.” Even more cautious strategists also acknowledge that human rights must be part of any future negotiation. But which human rights issues should be raised? The UN General Assembly’s annual resolution on North Korea’s human rights situation—adopted by consensus in 2016—lists a wide range of violations, many said to constitute crimes against humanity. The UN Commission of Inquiry (COI)’s 400-page report provides extensive backup information on the crimes committed. Beginning in 2016, the US sanctioned some 30 North Korean individuals and entities responsible for serious human rights abuses, from the head of state down. It follows that any human rights negotiations between the US and North Korea would have to address these serious issues of concern rather than limit talks to the lower standard that is sometimes proposed. For example, it has been argued that the US should raise at the outset of negotiations only those human rights issues the DPRK is ready to discuss, in particular, “low hanging fruit,” that is, the rights of women, children and the disabled to which North Korea agreed in a UN process known as the Universal Periodic Review (UPR). Such initial talks would presumably also encompass the recommendations agreed to by North Korea concerning the rights to food, health care and education. These are matters worthy of discussion, in particular, non-discrimination in access to food and health care in light of North Korea’s discriminatory songbun (class) system; and the DPRK’s promised increase in governmental expenditures on health care and agriculture. But to limit negotiations, even initially, to issues selected by North Korea would be to set aside many of the serious human rights concerns that the UN General Assembly and Human Rights Council have identified over the past decade in resolutions and reports as well as those raised publicly by the US and put forward in its own legislation. A permissive approach born out of fear that “a forceful human rights policy may backfire” and put “at risk” security objectives would abet the denial of rights as fundamental as the right to life, freedom of expression and movement, protection from torture and cruel and inhuman treatment, protection from arbitrary detention and imprisonment, protection from deliberate starvation and more. That is, the rights set forth in UN human rights treaties to which the DPRK has acceded, and from which it should not be given a pass. North Korea will not become less dangerous by being asked to promulgate another law on economic, social and cultural rights, ratify more human rights treaties or add more women to public office—per the UPR. Such issues can and should be taken up and advanced by UN treaty bodies, committees and humanitarian organizations on the ground. What must be given attention by the US is that North Korea at the UPR excluded from consideration or redress the many violations deemed by the COI to have crossed “the high threshold of crimes against humanity.” If negotiations are to be credible, they will have to address these issues. The release of all Americans imprisoned in North Korea. Currently, there are two, including a university student on charges that would not merit more than a fine in other countries. A negotiation must also include a warning against the detention of future Americans as hostages—over the past eight years, 10 Americans have been detained and then released for a political price. The reunion of Korean Americans with their families in the North separated since the Korean War. Of the 1.7 million Korean Americans in the US, some 100,000 are estimated to have families in the North, but just about none have been allowed to meet with their relatives. A resolution approved by Congress in 2016 calls upon North Korea to allow such reunions. Access for the UN Special Rapporteur on human rights in the DPRK and for the UN High Commissioner for Human Rights, whose offices have requested entry for more than a decade. Since 2014, North Korea has indicated it might allow entry to these officials although it has also obstructed their proposed visits. At the UPR, North Korea agreed to cooperate with UN human rights mechanisms. Access by humanitarian agencies to the most vulnerable in the country. At the UPR, the DPRK accepted “free and unimpeded access to all populations in need” so that humanitarian aid can reach “the most vulnerable.” The US should continue to support this principle together with the language adopted by General Assembly resolutions that the most vulnerable include children, pregnant and lactating women, the elderly, the disabled and “political prisoners,” those held in a cruel network of prison camps. Although in 2012, the US regarded prisoners in the prison labor camps as too sensitive to talk about, its statements and policy changed dramatically after satellite imagery, former prisoner and guard testimonies and the COI report offered evidence of the camps’ existence and the cruelty practiced there. In 2016, Congress required the State Department by law to compile and provide information about the prison camps; and US human rights sanctions came about in part because of the camps. The intention is clear: the US must support the access of humanitarian agencies not only to places North Korea allows, but to the most vulnerable in camps and detention facilities. And accordingly, the US must not shy away from raising the most difficult issue—the release of tens of thousands of men, women and children held in political prison camps, reeducation camps and other detention facilities deprived of adequate food and medical care and subject to inhumane treatment. The COI found North Korea’s camps to be reminiscent of those of World War II, and UN resolutions have made them of concern internationally. Although North Korea denies the existence of some of these camps and objects to their being spoken about, it knows that US officials and intelligence agencies have information about these facilities as do members of Congress, the UN, other governments and NGOs and that the US is likely to raise them in discussion. The first step should be to press for the release of the children and families incarcerated with the political prisoners as a result of North Korea’s practice of ‘guilt by association.’ Their liberation should not affect the security of the state. Thereafter, a negotiation should be proposed, led by the UN or an organization like the International Committee of the Red Cross, to support the release of all North Koreans held on political and religious grounds, as called for by UN resolutions. An accounting of the numbers and whereabouts of abducted foreigners and the voluntary repatriation of those held and their families. Although Japan has led negotiations regarding abductees from its country and has achieved the return of a small number, it has called for US and international support. A multilateral effort should be undertaken. Finally, the US should seek to expand information exchanges, internet usage, radio broadcasts, DVDs, USBs and other messaging that could bring into North Korea needed information about life in other countries and how to address problems North Koreans face, whether in business, private markets, agriculture or other fields. A more open society and freedom of information would also help assure the success of denuclearization agreements. The US goal should be a negotiation, not a dialogue with North Korea. DPRK dialogues with EU members in the past have been described as sterile legal conversations about provisions in UN human rights treaties. What must be conveyed to North Korea is that political acceptance by the international community, economic investment in its economy, and greater national security will require changes in its human rights practices. The negotiation should be focused on results. In fact, in the past, North Korea has, at times, released Americans, arranged for family meetings at least as concerns South Korea, released some abductees, provided information on others and offered visits to UN human rights officials. Needed now is for North Korea to genuinely carry out these steps and expand them to include access to the camps and release of prisoners. If either a peace treaty or normalization of relations is important to the North, then it should be ready to consider concessions on these issues. Other incentives the US will offer will vary. For some of the family reunification meetings between North and South Koreans, Pyongyang reportedly expected cash payments. In its discussions with Japan over abductions, North Korea asked for and received the easing of financial sanctions and other concessions in exchange for information. Food and fuel aid have been a major incentive in past nuclear negotiations with the DPRK. For the failed “Leap Day Agreement” of 2012, for instance, Pyongyang committed to a freeze on nuclear weapons in exchange for the US provision of food for some 900,000 North Koreans. Sometimes, the question is posed whether North Korea will try to barter away human rights concerns, in particular, accountability, in exchange for making nuclear concessions. But if the past is any guide, North Korea appears to prefer concrete and substantial material gains as a quid pro quo for denuclearization. In the case of human rights, it has confined its bargaining to objectives within that arena—offering the Special Rapporteur a visit in exchange for the removal of the accountability provisions from a General Assembly resolution. Certainly, were nuclear negotiations to take place, diplomacy and common sense would dictate that the US not use the occasion to publicly call for the accountability of people with whom the US is negotiating. But at the UN, over the past five years, the US, the EU, Japan, South Korea and more than 100 other states have stood firmly behind strong resolutions on North Korea’s human rights situation, including accountability. This multilateral effort is the only human rights measure that has ever unnerved North Korea, and could, over time, lead to results. It was the General Assembly’s reference to crimes against humanity and the ICC that prompted North Korea to offer visits to UN human rights officials. 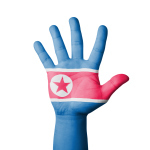 Its sensitivity even prompted Victor Cha and Robert Gallucci to comment that human rights could serve as “a source of leverage and pressure on North Korea for the nuclear issue.” Similarly, in the United States, the human rights provisions in the North Korea Sanctions Act, adopted by near unanimity in Congress cannot simply be bartered away. Specific human rights steps are required to suspend and then terminate sanctions. If North Korea refuses the political and economic benefits that could accrue from overall negotiations, and continues to defy UN resolutions, it will undoubtedly face more potent steps to bring it to the table. In the nuclear area, experts speak of more coercive economic and military measures, while the Security Council in its latest resolution mentions the possible threat of suspension from the UN if North Korea fails to cooperate. In the human rights area, there are stronger measures to take as well. The CFR Task Force recommended mobilizing other states to adopt human rights sanctions like those the US has enacted and also to explore the withdrawal of North Korea’s credentials at the General Assembly. It proposes giving North Korea two years to take human rights steps to avert withdrawal. Some might object that withdrawal would only increase North Korea’s isolation, but allowing it to continue to defy the world body undermines the longstanding system established to uphold human rights monitoring and scrutiny and removes pressure on the regime to make improvements. Human rights talks may or may not succeed with North Korea, but the relationship between security and human rights makes it essential to try to encompass both goals in US policy, make clear to North Korea that America stands for both and that improved relations will require both to be taken into account. The views expressed in this article are solely those of the author and do not necessarily represent those of her affiliated institutions. See for example Joel S. Wit, “A Way Ahead, North Korea Policy Recommendation’s for the Trump Administration” 38 North, December 2016; Council on Foreign Relations, A Sharper Choice on North Korea, Independent Task Force Report No. 74, Mike Mullen and Sam Nunn, Chairs, 2016; and William J. Perry, “To confront North Korea, talk first and get tough later,” Washington Post, January 8, 2017. See Victor Cha and Robert L. Gallucci, Toward A New Policy and Strategy for North Korea, George W. Bush Institute, 2016, p. 3; and Council on Foreign Relations, A Sharper Choice, pp. 4-5. Council on Foreign Relations, A Sharper Choice, pp. 33-34. Wit, “A Way Ahead;” and US-Korea Institute at SAIS and Hoover Institution, Security Cooperation in Northeast Asia: The North Korean Nuclear Issue and the Way Ahead, 2016, p.10. UN General Assembly, Resolution on Situation of human rights in the DPRK, A/71/484/Add.3, December 19, 2016. UN Human Rights Council, Report of the commission of inquiry on human rights in the DPRK and its detailed findings. A/HRC/25/63 and A/HRC/25/CRP.1, February 7, 2014. North Korea Sanctions and Policy Enhancement Act of 2016, H.R. 757, 114th Congress; US Department of Treasury, Office of Foreign Assets Control (OFAC) Press Release, June 7, 2016; and US Department of Treasury Press Release, “Treasury Sanctions Additional North Korean Officials and Entities,” January 11, 2017. Established in 2006, the UPR subjects all UN member states to a periodic review of their human rights record. See UN General Assembly, Report of the Working Group on the Universal Periodic Review: DPRK, A/HRC/27/10/Add.1., September 12, 2014. See Robert Collins, Marked for Life: Songbun, North Korea’s Social Classification System, The Committee for Human Rights in North Korea, 2012. Wit, A Way Ahead, p.19; see also US-Korea Institute at SAIS and Hoover Institution, Security Cooperation in Northeast Asia, p.10. North Korea acceded to the International Covenant on Civil and Political Rights, the International Covenant on Economic, Social and Cultural Rights, the Convention on the Rights of the Child, the Convention on the Elimination of All Forms of Discrimination against Women and the Convention on the Rights of Persons with Disabilities. David Hawk, “North Korea Responds to the UN Commission of Inquiry,” 38 North, October 16, 2014. Anna Fifield, “North Korea shows no sign of wanting to talk about releasing two Americans,” Washington Post, September 24, 2016. Rick Gladstone, “North Korea’s History of Seizing Americans,” New York Times, March 16, 2016. Stephan Haggard and Kent Boydston, “Divided Families and Korean Americans,” PIIE, November 4, 2016. UN General Assembly, Report of the Working Group on the Universal Periodic Review. UN General Assembly, Resolution on situation of human rights in the DPRK, A/C.3/70/L.35, October 30, 2015, para. 4. Anna Fifield, “Did North Korea abduct an American in 2004 to teach English to Kim?” Washington Post, September 17, 2016. Speech by Minister Katsunobu Kato in Charge of the Abduction Issue at CSIS, May 2, 2016; and Anna Fifield, “Japan calls for international help as North Korea stonewalls on abductions,” Washington Post, April 30, 2016. Ministry of Foreign Affairs of Japan, Abductions of Japanese Citizens by North Korea, May 16, 2015, at http://www.mofa.go.jp/a_o/na/kp/page1we_000069.html. Cha and Gallucci, Toward a New Policy and Strategy for North Korea, p. 8. See North Korea Sanctions and Policy Enhancement Act of 2016, Title IV, Secs. 401 and 402. Amb. Robert King, US Policy Toward North Korea: The Human Rights and Security Linkage, Brookings Institution, December 12, 2016. UN Security Council Resolution S/RES/2321, November 30, 2016. Council on Foreign Relations, A Sharper Choice, p. 35.